BCI was amazing. My pictures look beautiful. My husband and I are not use to taking pictures but they made the experience so simple and effortless. I was worried that I was going to have a camera in my face all night following us around but I didn’t even notice them taking the pictures and they captured some truly great moments. They made us feel very comfortable. Best photographer on the Treasure Coast . Thank you Brad! The proof is in the pictures! 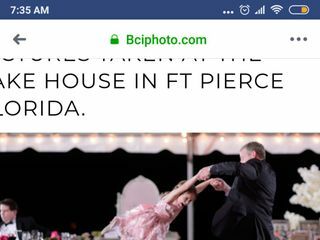 Brad is an excellent photographer and his team has their timing down pat be for lighting So many beautiful spontaneous moments captured, each shot beautifully lit and framed! You couldn't have staged better shots! He was punctual and made us feel very comfortable as he clicked the group shots away. The only comment I have (and it's not a criticism from me but it depends on the person) is that as a professional there to do a job he will politely ask that others not try taking the same shots at the same time as people tend to want to direct the shots and you know what they say about too many cooks... especially when you already have a high chair caliber chef! The rest of the night, he was like a fly on the wall in the best way. He got so many excellent shots without being intrusive or taking us out of the moment. He wowed the guests with a slideshow of photographs from the morning at the reception and everyone remarked on how amazing they were. There is an awesome mix of candids, posed shots and so many that appear straight off of the pages of a magazine. I cannot wait to see the album! Every. Photo. Is. Perfection! Brad outdid himself especially with the beautiful sunset he was able to capture for our memorable day. 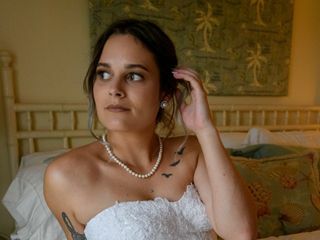 Being a bride and wanting every moment to look back on is exactly what I got. Brad and his wonderful son didn’t miss a minute. We have over a thousand photos to choose from and Im not even exaggerating they are all just gorgeous. I never realized what all is involved in capturing a wedding until it was all over and I was able to view the images. From the getting ready photos to the last image of the fireworks brad was right there. These heart felt memories are all mine since the actual wedding flew by in a blink of an eye. We definitely recommend brad a million times for kindness and fantastic skills. Thank you Brad!!! Brad was great!! His photos are beyond amazing! He’s very professional, but also fun and very easy going! He came to my condo thirteen miles away from the venue for my getting ready photos an hour and half before wedding time and stayed the entire evening!! Even though I live over three hours away I’m most likely coming back for a boudoir shoot (if he does them, forgot to ask)! Definitely book him!! We loved being a part of your big day!!! Thank you so much for the kind words, and yes, we certainly would love to do a boudoir session with you!! Just say the word! Congrats again! Brad Barr and his assistants did an amazing job covering our wedding ceremony and reception. The care and attention to detail was exemplary. He was able to get fantastic shots on the beach despite the weather conditions . He captured all the emotions and fun of the entire event. He compiled a fantastic summary video that we enjoyed sharing with our friends and family who were in attendance. Brad and his team stayed the entire event snapping photos and sharing a photo slideshow from the ceremony and our photography session on the beach. We received after our honeymoon the high quality photo book which captured the day's events in a beautiful keepsake. We thank Brad and his team for all their amazing work and incredible photos they captured for our special day. We highly recommend Brad Barr and his team! Brad is excellent. After seeing his work, he was the only photographer we would have for our wedding. I am so pleased with the pictures that he created for us. Best around for sure! Brad was great! The weather was not cooperative at our wedding but Brad was able to use the storms to create really amazing pictures. Would absolutely recommend. If you are looking for the best photographer for your wedding, look no further! Brad with BCI photography was amazing to work with from start to finish. He was very quick to respond to all my questions and flexible to work with my busy schedule. He helped me time my wedding perfectly, to get the most amazing pictures,with a beautiful sunset. Brad was very professional and did an amazing job capturing our special day. We were blown away by the beautiful photos! I was also thrilled with how quick we got the photos!! I was able to view them the next day!! Brad is very talented and edits the colors to make the pictures so vibrant. I have so many compliments on how beautiful the pictures are. I have already recommended BCI photo to my friend, and will cherish all the beautiful photos they took for us for life. 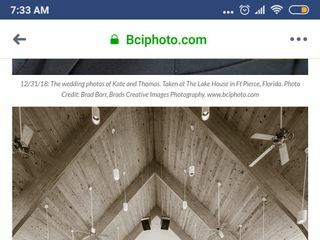 I am so happy that I had BCI Photograph my wedding!!!! I couldn’t have asked for better Photography team!!! All my guests loved the interaction and photos are proof of that!!!!! My pictures exceeded my expectations and there were so many shots that I didn’t notice there was a camera crew there!!!! I would recommend Brad and his team to ANYONE!!!!!!!! I will be using him in the future!!!! I could not be any more pleased with Brad & his team! My wedding conditions were not quite what I’d hoped for but you’ll never be able to tell by my pictures. Brad went above & beyond for me and make sure I had memorable photos(rain and all)! Brad’s team was amazing! We discussed ahead of time what we were looking for and he came through with the best photos! 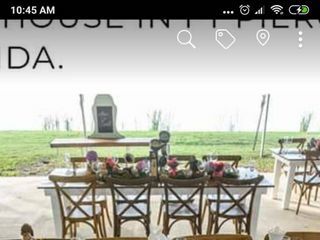 They knew our venue well so they knew exactly where the best photos would be taken! We would highly recommend BCI for any occasion you may need a proffesional photographer. Brad and team did an awesome job at our Wedding and helped us throughout the whole process making it the most special day and created special memories. Thanks for making our day the best!!!!! Brad and his team were great from the very first meeting. We did a little research and in no time we knew they were the photographers for us, hands down! They have great customer service and they are very worth the price you pay for their services, every single penny. I work in the audio/visual profession and can say with all that I am that this company is top notch! Brad has a fly-on-the-wall approach to how he does his work and it isn't without the very best shots and photos we've ever seen. So, needless to say we really weren't aware he was there, he stayed out of the way but somehow he comes up with these shots that I'd never dream of shooting. He's amazing! Photos should be a priority to those getting married or to those having an important event as that's all you have for memories, the rest of your lives! Do yourself a solid and book your event with Brad, there'll be no worries and you'll get the best of the best! Thanks goes out to Brad and your crew for making our wedding a day to remember, in perfect frame! Our wedding photos our beautiful. We were happy with the colors in all the pictures and we had great sunset photos. Brad created a fantastic wedding album that highlighted all the details of our wedding from start to finish. 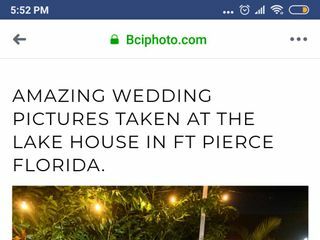 The one thing I didn’t want to ‘skimp’ on for our wedding was photography and we were ready for the outragous prices when we sat down for quite but thanks to BCI we didn’t have to skimp on what we wanted and we didn’t pay an arm+leg! Pricing was phenomenal for what was offered and Brad (plus Josh) were so easy to work with. Being infront of the camera isn’t natural for most of us but Brad’s humor + skill captured beautiful staged photos and precious candides. Our beach wedding would have been a challenge to any amateur photographer but Brad handled it like it was a second nature to him. I would recommend Brad and BCI photo to everyone for any event. They captures our wedding in ways that I wouldn’t have thought of and gave us a life-long gift. Thank you BCI. We were blown away by the creativeness of our photos and their ability to capture moments that would have been missed by most photographers. Absolutely amazing photos! Brad was great to work with! Great pictures of our special day!! Everything was perfect and very professional. I had the privilege of having my wedding photographed by Brad and I could not have been happier. We have loved working with him from the first time we meet at the bridal expo all the way to after the wedding. We look forward to working with him again for our trash the dress photoshoot. I would recommend him 100 times over to anyone, not just brides to be. His work is beautiful and captures all the details of the moment. We absolutely love love love his work. Thank you again for making our special day a day we can enjoy over and over again through our photos. I have so many photos that are my favorite that I couldn't pick which ones to share, I just shared a few. Working with Brad was a wonderful experience! EVERYONE I know was blown away by how stunning the images turned out, and Brad clearly knew exactly where to be at exactly what time for the optimal lighting and setting for each shot. Though I'm the first to admit that I wanted to be totally in control of every element of my wedding, I strongly suggest to any bride working with Brad's Creative Imagery to let him take the wheel and do what he does best - I couldn't be happier looking back at all the beautiful shots that immortalized my favorite moments from the day. We had very little time between the end of the ceremony and sunset, and Brad was able to utilize every moment perfectly! I had limited space to show the breadth of BCI's talent with the images shown - but take a look at his website for more - even the nighttime shots all came out wonderfully!! I wholeheartedly recommend Brad's Creative Images - you won't be disappointed! Brad has a fantastic eye and our pictures came out spectacular!!! I've received so many compliments on our pictures and seeing the amazed faces when people look at them. He truly captured my fairy tale day better than I imagined. Highly Recommend! Brad Barr was amazing for both our engagement photos and our wedding. He was very easy to get a hold of when we had questions and he was more than willing to roll with the punches for some of our more non-standard photo requests. One of the highlights for many of our guests at the reception was being able to view photos from earlier in the day at the viewing station Brad had set up. It was an addition to the reception neither of us had thought about, but was an excellent break activity for those tired from dancing. His work ethic and attention to detail is amazing and perfectly captured our special day. Thanks Brad for making it so when we look back to our wedding in the future, it will look just as good as we remember. Brad was a pleasure to work with from start to finish. Our pictures turned out beautiful, he did a great job capturing our special day! We had a fabulous experience with Brad's Creative Images. The pictures turned out amazing and he had some awesome ideas! He was great to work with and reasonably priced. Looking back at our pictures both my husband and I wondered how he got many of the shots considering we didn't even realize he was there! Loved the creativity!! 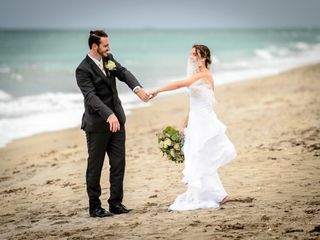 Brad did a fantastic job capturing our wedding ceremony on the beach in Hutchinson Island, Florida. We are very pleased with the quality of service and value. We highly recommend this photographer for your event.